Thanksgiving is a BIG DEAL in my family. We go up to my parents house every year and stuff our faces for like three days straight. :) It’s amazing. 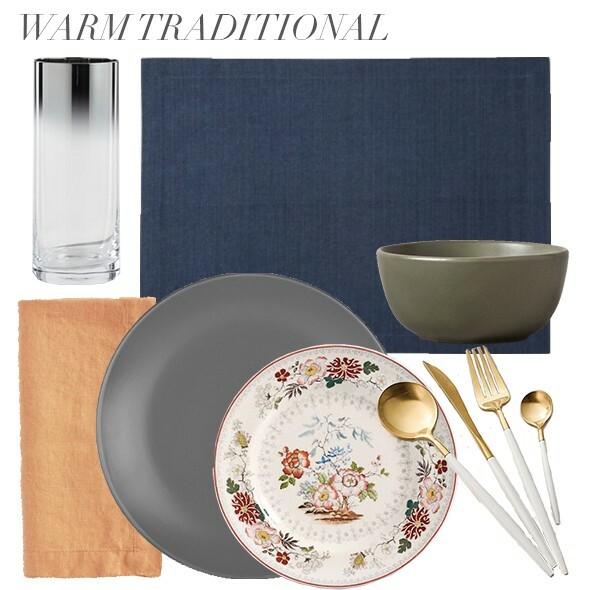 I always have a bunch of my favorite white ceramic plates and gold flatware ready to go. 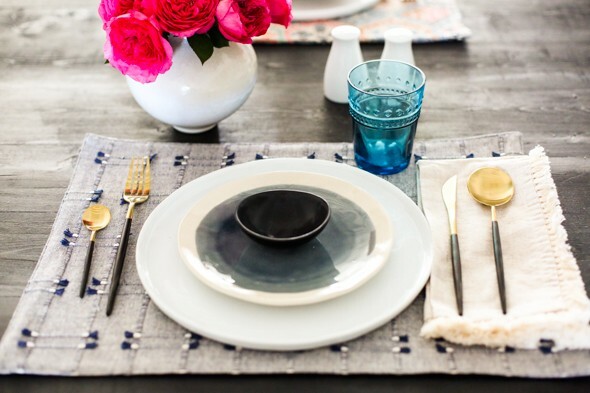 These are the perfect base for almost any style of table setting! This first setting idea is a little more on the traditional side. 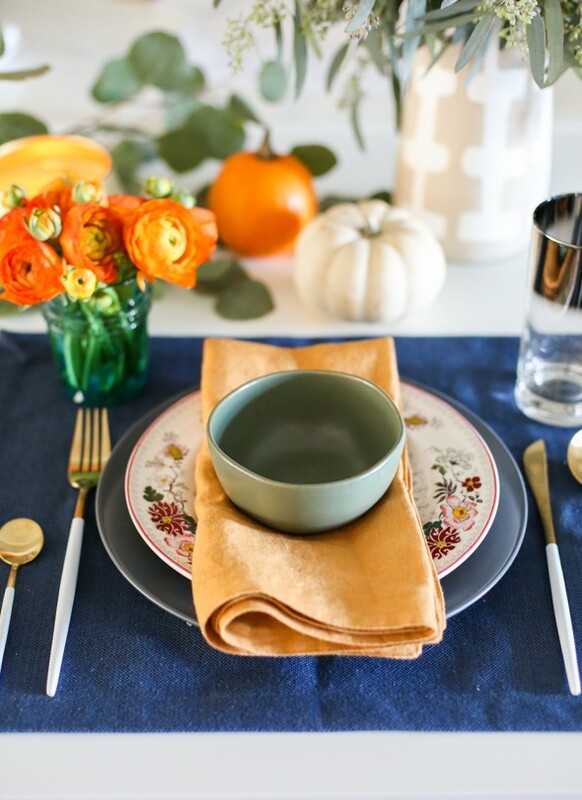 We put an updated spin on your classic Thanksgiving patterned dish (on clearance!) 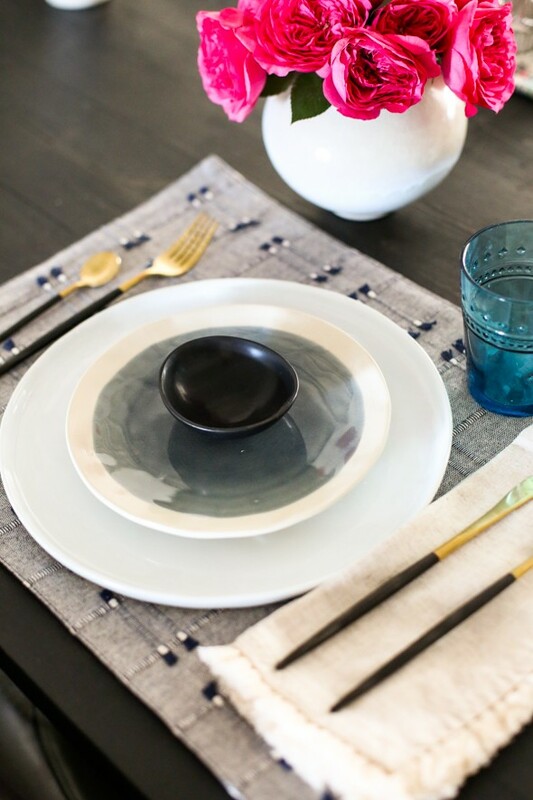 by pairing it with solids in deep, rich colors. 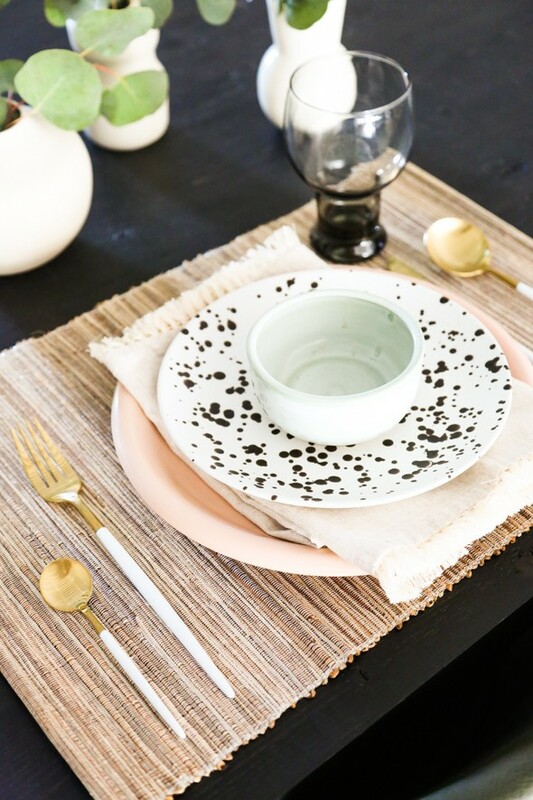 Also, can we talk about how amazing this flatware is?! IT’S FROM AMAZON. Find of the century. We have the white and gold set here, but we also used the black and gold in a different setting. I love both so much. 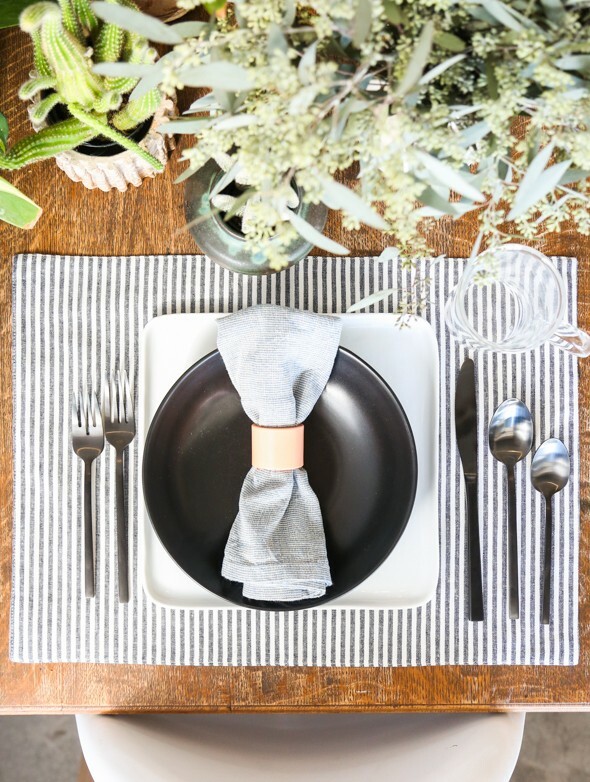 Our next look is a little more modern and textural! 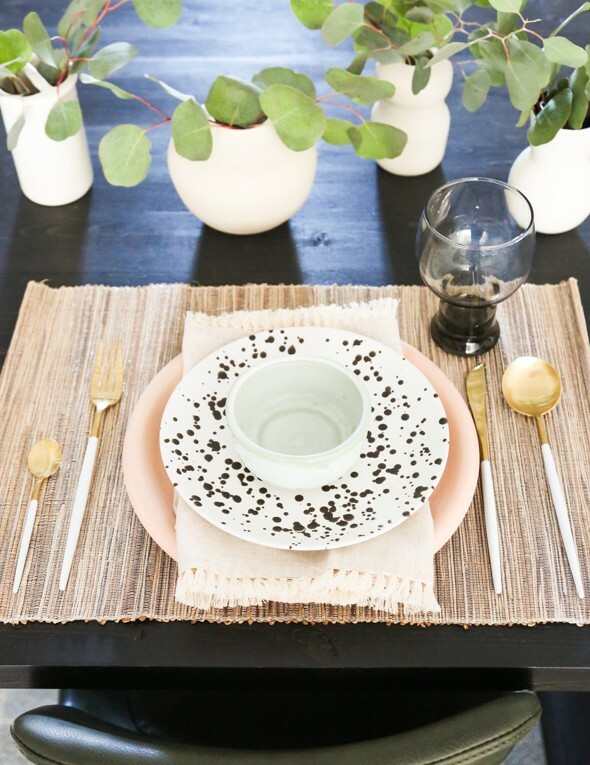 I love the blush plate with the eucalyptus leaves! 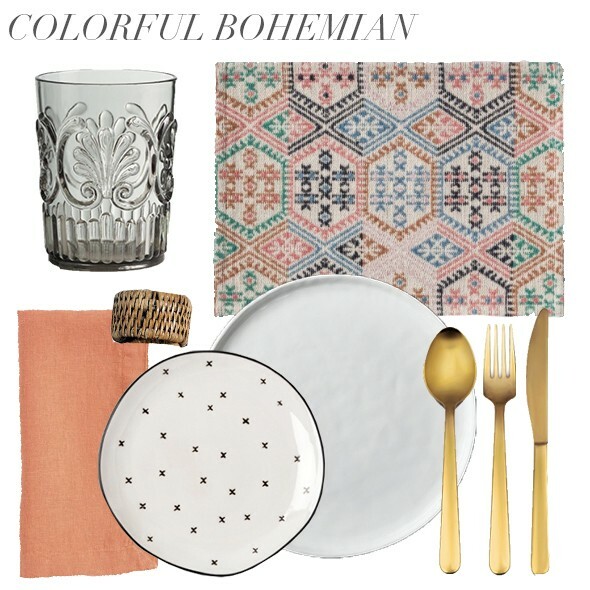 Next up is this bright, bohemian setting. 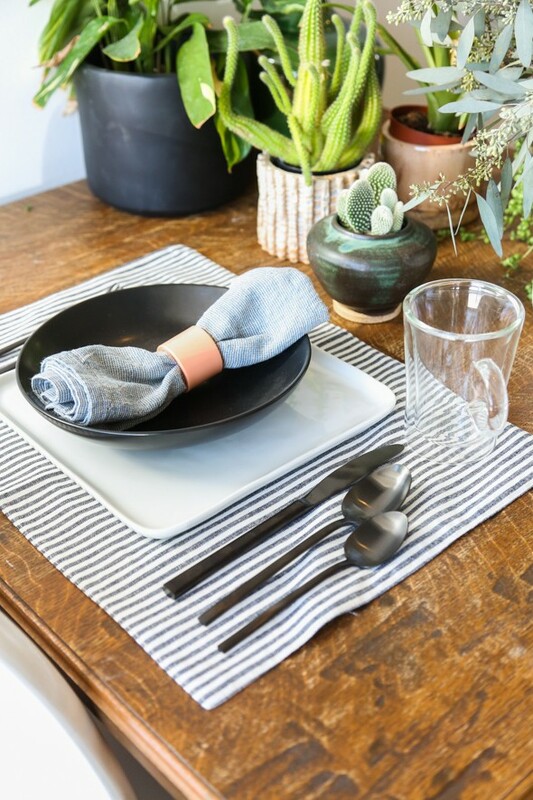 We used this super fun placemat as our base an then layered on some neutral plates (the salad plate is from Joanna Gaines’ new Target line! Love!). 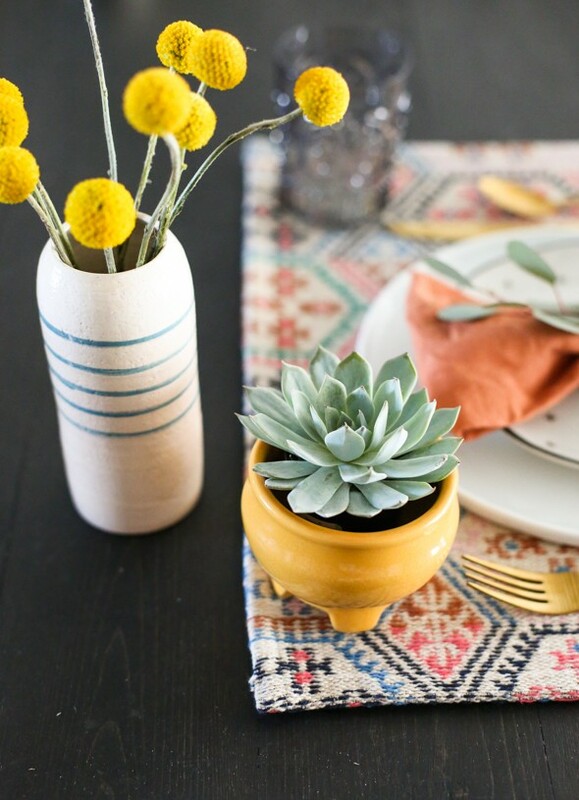 This look pairs really well with succulents and cacti instead of flowers, which last a hundred times longer than fresh flowers (bonus!). 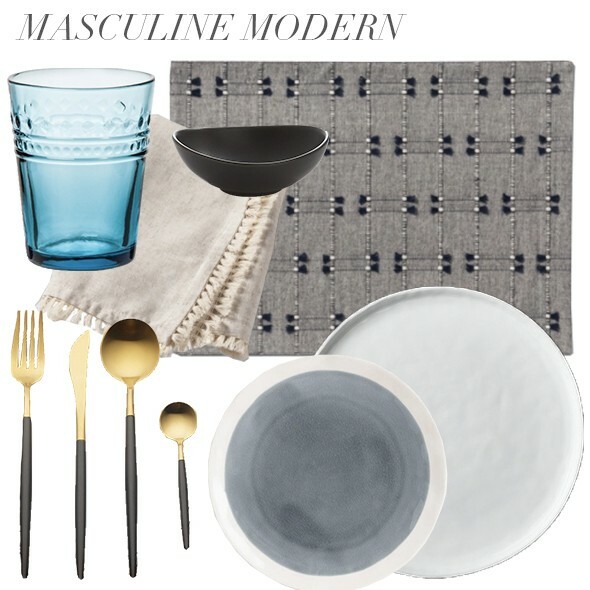 Next up is a modern, masculine look. 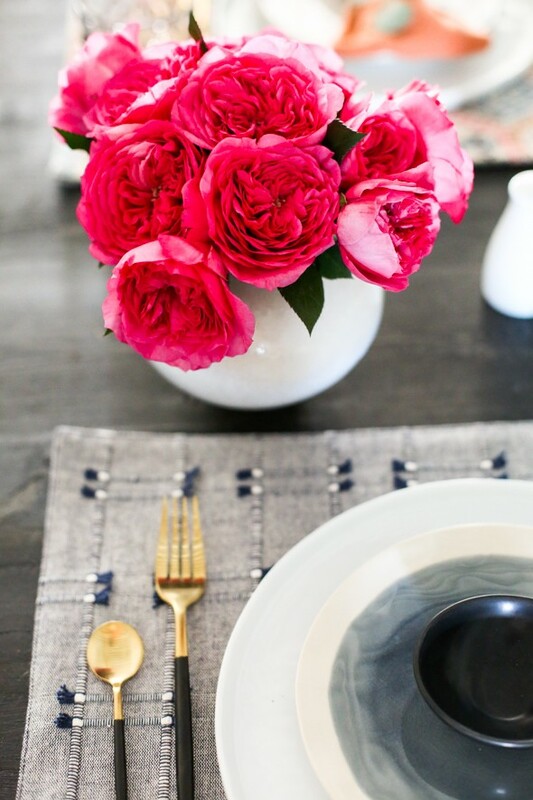 We kept everything fairly monochromatic here, with just a small pop of color in the glass and flowers. 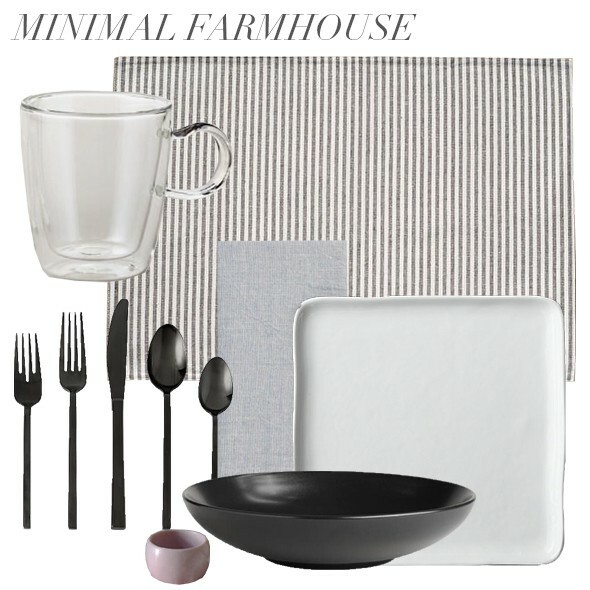 Last is the minimal farmhouse setting. This is a super casual look that pairs really well with simple greenery! 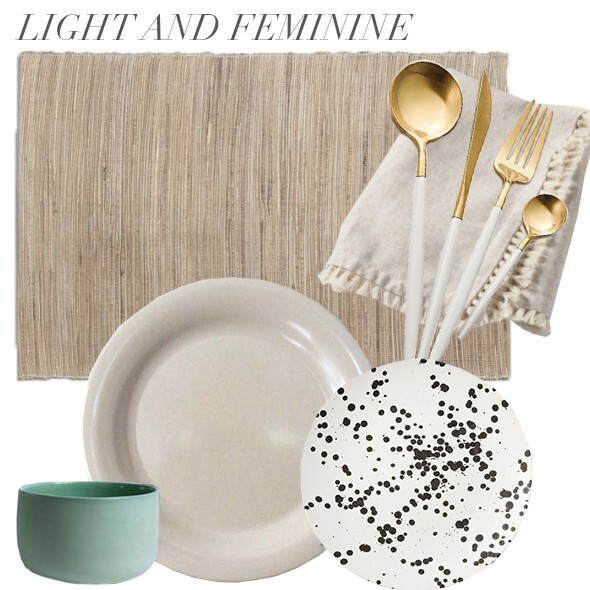 Have you seen the gold flatware from Ikea? Wonderful description for the various styles and reasonable sources, too. Thanks so much for these ideas. Really nice post. Like that you gave so many options and styles. 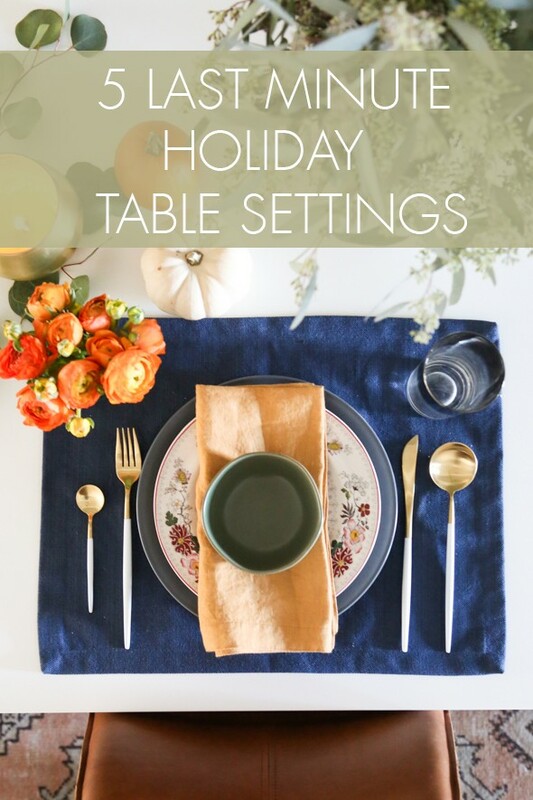 Definitely NOT your Grandma’s typical holiday table! 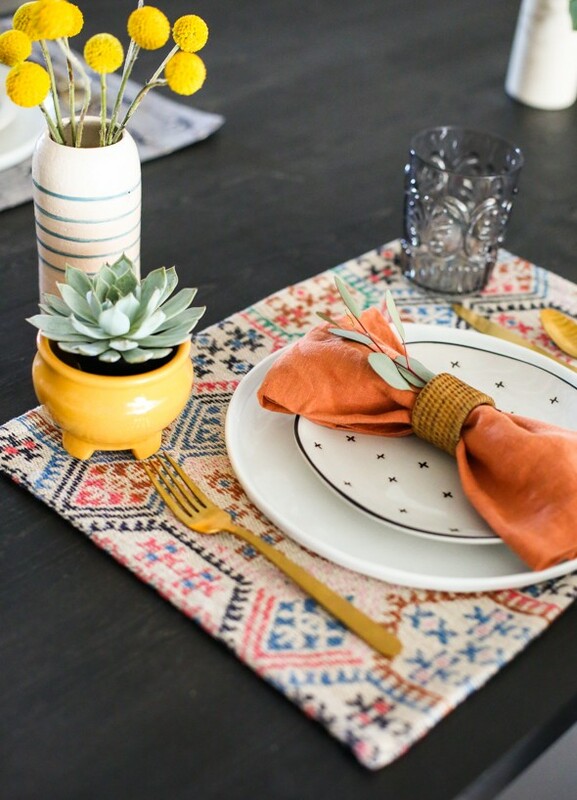 I love the setting with the Kilimanjaro placemats and succulents. 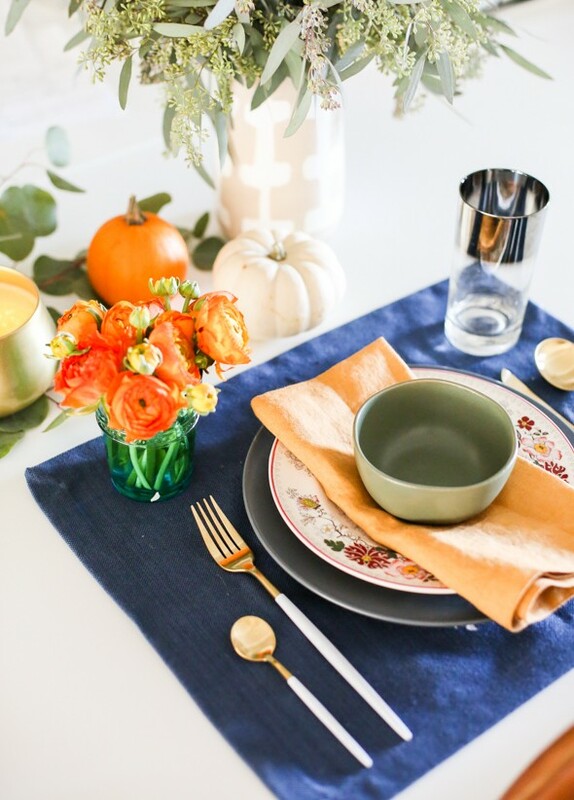 Could you tell me where the vases are from? They’re lovely. And autocorrect is the worst. 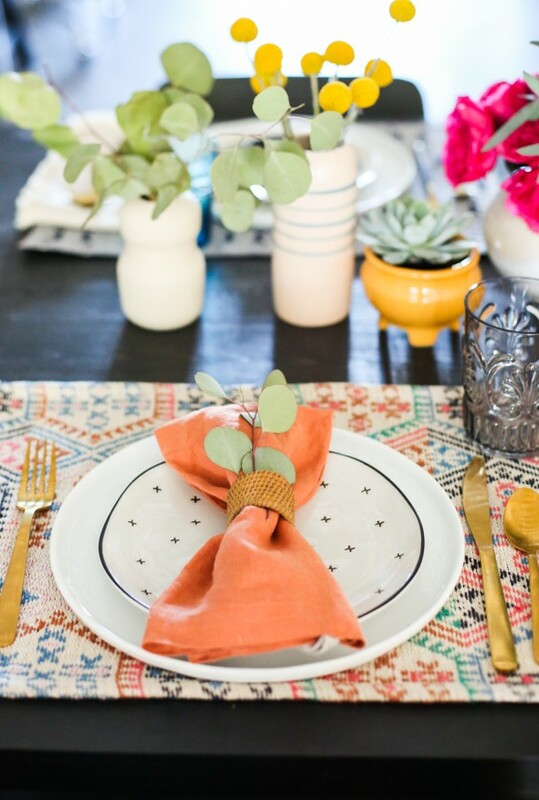 I meant kilim placemats! The vases were handmade by my sister! They are some of my favorites!! If you are looking for amazon gift code generator then visit here for more info about how to get and redeem these amazon gift cards.